Maetierra only produces white wines and they have a quick but interesting story. It actually began as an experiment by the School of Oenology of La Rioja in 2001, in 2002 got its own winery in Logroño, and in 2005 got a bodega in Castillo de Maetierra. Their Atlantis label represents the Spanish regions along the coast of the Atlantic. For example, Rías Baixas (Reeyas Bishus), where this wine is from. North of Portugal and known for its Albariño, Rías Baixas was once a Celtic outpost and, from what I hear, has more of a Celtic culture and architecture than Spanish. Their cuisine is seafood heavy so naturally their famous Albariño pairs well with seafood. 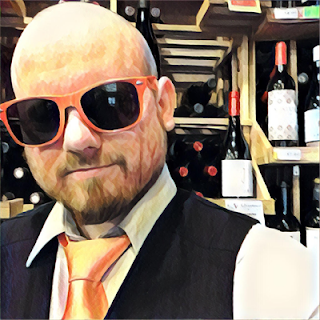 As a wine guy on (the also seafood heavy) Cape Cod, Rías Baixas Albariño is a top suggestion from me for somebody looking to pair wine with Cape Cod cuisine. Yeah, so it's called Atlantis. 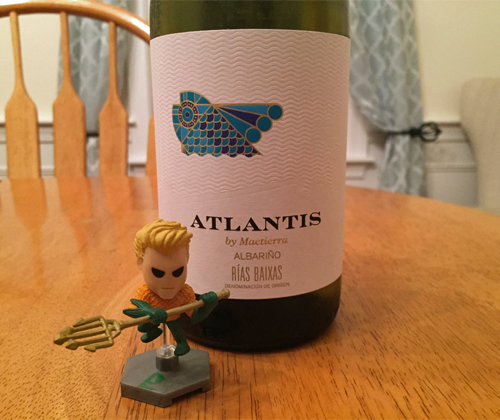 You didn't think that I'd review a wine called Atlantis and not talk about Aquaman, did you? 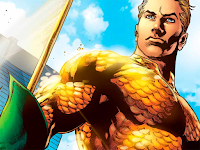 Contrary to popular belief, Aquaman is no joke. He's actually one of the biggest badasses in comics. His real name is Arthur Curry. Half Atlantean, half human. He is considered by the United States government to be the most dangerous Justice Leaguer. Why? He's the king of Atlantis, ruler of the seven seas, leader of the largest nation on Earth. His armies are not something us land dwellers want to face. And no, he doesn't talk to fish. He's able to control certain marine life by using telepathy on their nervous system. He's also similar to Superman in strength and near indestructiveness. Aquaman is a boss. If you're a geek like me but you haven't been reading Aquaman's book in DC Rebirth then I suggest you start now. I am currently obsessed with it. But if you just want to pick up a trade volume / graphic novel to see just how awesome Aquaman is, then get The Trench by Geoff Johns. You won't regret it. And mark my words: I have no doubt that Jason Momoa's Aquaman is going to be the scene stealer and rising star of November's Justice League movie. Let's try the wine then, shall we? The vines were planted on granite subsoil 328 to 820 feet above sea level. The wine was fermented in stainless-steel vats at 64˚F. Then it's racked away from the lees, sees a cold stabalization, filtered and bottled. The final ABV is 125%. The color of the wine is a pale yellow. The nose has aromas of green apple, pulverized lime, and salted nuts. I love it. Rarely do I sit there and just admire the nose of a white wine, usually that's reserved for reds, but I'm doing just that right now. I think it's the pulverized lime. Like somebody took a spiked mallet and just went to town on a whole lime, skin and all. On the palate it's crisp and tangy with a light to medium body. There's flavors are mostly lime and green apple, with hints of grapefruit and some kind of floral thingamabob. Wait a second... why isn't spellcheck telling me thingamabob isn't a word? Is thingamabob actually a word? Damn, Oxford Dictionary! You guys are on point! On the finish the fruit kind of mellows out to more of a melon flavor, and it doesn't last all that long. So for a $16 bottle of Albariño I'm absolutely on board with Atlantis and I'm giving this a recommendation! By the way, if I didn't like it I totally had "there's other fish in the sea" lined up. I wouldn't be able to help myself.